As I travelled to the airport in Dunedin, after a tumultuous day of hailstones and gales, there was a break in the storm and sudden burst of light. It reflected the type of week I’d had. Stories and statistics of sorrow and despair being confronted with experiences that remind us that hope is a powerful solution. 45 out of the fifty clients being presented at Court this week were Māori’. Variations of these statistics have been around for too many years to recall. But what I saw and heard in Dunedin in my brief time this week gave me much confidence that we can and are making changes that can last a lifetime. At Ārai Te Uru Whare Hauora I heard about the amazing work that their specialist navigator, Raewyn, is doing in working with young people and their whānau to find a new pathway out of the difficulties that have confronted them. A3 Kaitiaki works specifically with young offenders on the way to a different lifestyle; Project Kete works alongside male offenders to build their cultural awareness and to open their eyes to the holistic view of te ao Māori. The benefits of using a Māori world view is essential for inspiring positive change from the participants. Through utilising marae facilities and a whanaungatanga approach to connect with these males, Project Kete has had a great response from the men participating. Having people that are able to connect with them as a person rather than just a file can be the point of difference for many participants. It was message reinforced also by Moana House, where I attended their special thank you afternoon tea; a time where they invited the neighbours, the Hirequip men, the Department of Corrections staff, the Council, their auditors, whānau, children. Men who enter Moana House have often experienced unhealthy lifestyles, including generational difficulties with alcohol, drugs, abuse and violence within their whānau. While in Moana House, the men are encouraged to explore and find new ways to build or maintain positive relationships with their whānau who may or may not be on a path to wellness. I couldn’t resist taking a picture of the man in red: one of the fund-raising activities Moana House engages in is selling Christmas trees! One of the most moving speeches heard was one of the men who told their manager, Claire Aitken, ‘You not only gave me my life back; you gave me a future”. We ended the days with all smiles in visiting the site at College Street that will be transformed as Te Kāika. The concept involves a village style approach to developing a hub for integrated primary care for priority groups, Māori, Pasifika and low income whānau. The work is based at Dunedin and operates under the umbrella of Ōtākou Health Ltd.
What a pleasure to spend time with these three: Shelley Kapua, Donna Matahaere-Atariki and Albie Lawrence; who were practically giggling with excitement in showing me the site as their dream starts to appear before them. Te Kāika was co-designed with whānau and community with a clear focus on enabling whānau to become active in determining the most appropriate action. This approach goes beyond existing medical and wellbeing models because it is uncompromising in its belief that whānau must lead their transformation. This includes longer consultation times, so whānau can build a relationship with professionals. The shift in approach has seen whānau participation in the physical design of the building, tailored specifically for whānau to make it more comfortable, familiar, and responsive to their cultural needs. At a practical level larger consultation rooms have been included in the design so whānau can support one another. All contracts – whether you are the dentist, the student, the receptionist, the navigator – will require ‘cultural competency’ as a basis expectation. An important part of the establishment process has been developing a collaborative partnership between Te Pūtahitanga, Te Runanga o Ngai Tahu, the Pacific Community, Te Runaka o Otakou, the University of Otago and Araiteuru Whare Hauora. By bringing the partners together the project whanau believe that they can provide a collaborative solution to health care disparity. Currently the partners are providing financial support that has assisted with staff and establishment costs including facilities refit and medical equipment. There has been significant consultation with the community and stakeholders including doctors, nurses, University of Otago Dental and Physio Schools as well as other local health providers in Dunedin. The site is located in the former Carisbrooke School, originally built in 1936. One of their parallel facilities is the gym operating in a building, categorised by the Historic Places Trust as having a significant history dating back to 1890. Under the top floor of the gym are tunnels underground where the community retreated to during threat of war. That type of history and community heritage was pivotal in the massive consultation process the champions of Te Kāika went through in order to share their dream wider, and achieve the support of their neighbouring households to enable resource consent to proceed. It was a great thrill to end the year receiving two wonderful reports, The Whānau Ora Formative Evaluation report and the Whānau Ora Annual Summary Report (2014-2015). It was really pleasing to see the reports acknowledge that unique to Te Pūtahitanga o Te Waipounamu is the dual governance role of Ngā Iwi o Te Waipounamu – through Te Taumata, and the General Partner Limited Board. In tandem, they set the strategic direction and priorities for Te Pūtahitanga o Te Waipounamu. These governance entities signal the importance of relationships with rūnanga, marae, hapū, iwi and whānau, as well as with business, community and government sectors. The key to Whānau Ora is in local solutions and that Whānau know best what works for them... We firmly believe our way of working and empowering whānau to find the solutions themselves is the right approach. We envisaged that change could and would come from the flax roots and that the pathway of change to greater self-determination and choice would be created by whānau entrepreneurs and leaders operating on the ground and prepared to take their wider communities with them. We saw Whānau Ora as an opportunity to do things differently. We were not bidding to be the Government's alternative welfare net; we were bidding to be an impact investor, to foster a pipeline of investment in whānau capability and innovation. It is indeed appropriate that the report celebrating the first year of the Whānau Ora Commissioning Agencies throughout Aotearoa begins with a statement from Tā Mark Solomon. This week Tā Mark retired from over eighteen years of leadership and vision as the Kaiwhakahaere of Te Rūnanga o Ngāi Tahu. Te Pūtahitanga o Te Waipounamu has a particular gift of gratitude in considering the legacy of this great leader. In the autumn of 2013, Tā Mark paid a visit to Whaea Molly Luke and from then on, the transformation started to take shape. Of course, transformation is on everybody’s minds as we think about the impact of Rūaumoko upon Papatūānuku over recent weeks. 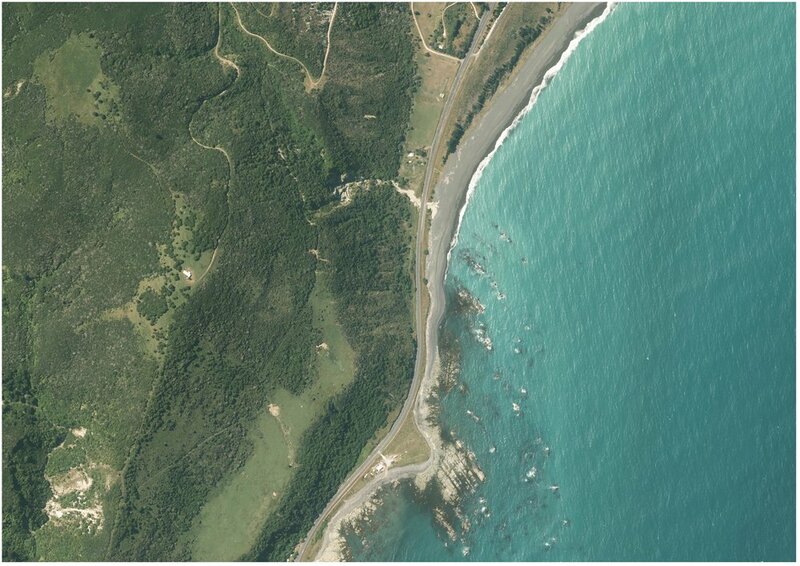 These recent photos showing a ‘before’ and ‘after’ visual of the landscape that Tā Mark knows as home shows a dramatic change in the layout of the land. As we sit and reflect over this last year – and all the seismic shifts that have occurred in our natural geography, our political landscape, our tribal structures, our policy contexts – I want to end with the most amazing transformation of all – the story of change that has emerged in the homes and hearts of whānau. And it is only appropriate that as we look back at all that has occurred for Te Pūtahitanga o Te Waipounamu, to share this story of its beginnings, expressed best in the words of Tā Mark Solomon as he told us at our symposium in July this year. With the completion of all Settlements, the nine iwi of Te Waipounamu came together to form Te Waka A Māui Iwi Chairs Forum. Our purpose was to use our collective wisdom to advance issues we shared in common… and believe me there are a lot of issues we had common interest in, the most important of which was and still is our responsibility to enhance the wellbeing of our people. Without iwi, there would be no whānau; conversely whānau are the foundation, the future and the legacy of iwi leadership. Together we are stronger – we rely upon each other for our collective wealth in every aspect of the word. So when the opportunity came up to bid to be the Whānau Ora commissioning agency for the South Island – it was a no brainer. We knew it was going to be a lot of hard work but we were up for it. In a matter of weeks, a small team of people – and I’m talking less than five people – were working at pace on the top floor of the Wigram airforce control tower to get our bid together. They drew together our demographic statistics, labour force and health statistics. They investigated all the legal frameworks that would serve our people best and landed on the structure of a limited partnership with two boards. At the top, the iwi partners providing strategic direction through a shareholders council – Te Taumata, and beneath that an independent professional board responsible for developing the commissioning framework and investment plan. This allowed for the necessary separation between independent and objective bid agency and the shareholder council. The team prepared an incredible report and fantastic bid – a bid that I might say was absolutely comprehensive but not conventional. We saw Whānau Ora as our opportunity to do things differently. We were not bidding to be the government’s alternative welfare net, we were bidding to be an IMPACT investor, to foster a pipeline of investment in whānau capability and innovation. We envisaged that change could and would come from the flaxroots, that the pathway of change to greater self-determination and choice would be created by whānau entrepreneurs and leaders operating on the ground and prepared to take their wider communities with them. Thankfully, the government understood us. We won our bid. And what made me really proud that day was that our Te Waka A Māui Iwi Chairs Forum created that bid when we ourselves were hardly a year old. But we were determined and we had our governance and finances and commitment to each other fixed on an end goal that we were determined to achieve. We trusted our people and our people went for it.